I am the Head of Research at the Center for Computer Games Research,[ link: http://game.itu.dk ] where I have worked on the aesthetics of computer games since its founding in 2003. I am currently also director for the Games Program here at the IT University of Copenhagen. I am also Editor-in-Chief of Game Studies (http://gamestudies.org ), the oldest peer reviewed journal in the field of (surprise!) game Studies. My current research concerns ideological, narrative, semiotic and ontological aspects of games and game communication, as well as topics such as game addiction, games and meaning, and also digital literature culture and aesthetics (what some people used to call "new media" 15-20 years ago). Dr.Art., Humanistic Informatics, University of Bergen, June 1996. Cand philol., Comparative Literature, University of Bergen, December 1991. 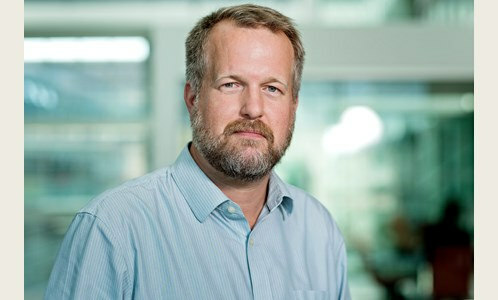 July 2003 – present: Associate professor, The IT University of Copenhagen (from 2009, Lektor MSK,=’with special qualifications’) and Principal researcher (Head of research group 2003-2008; 2012 - present), Center for Computer Games research. Aug. 2002 –2012: Professor II (20%), Dept. of Media and Communication, University of Oslo. May 2002 – June 2003: Full professor at Dept. of Humanistic informatics, University of Bergen. June 2000 - May 2001: Visiting Scholar, Scholarly Technology Group, Brown University. August 1996 – April 2002: Associate Professor at Dept. of Humanistic informatics, University of Bergen. January 1993 - July 1996: Scholarship holder/research fellow (Norwegian Research Council) in Humanistic Informatics, University of Bergen. August 1992 - December 92: Research Assistant at the Arts Faculty’s Computing Section. Evaluation committee member, Assoc. professorship in humanistic informatics, UoB 1999. Evaluation committee head and member, various positions, ITU 2004-present. Head of Games teaching program, ITU, 2015 - present. Member of the ITU PhD Study Board, 2009-2014. Member of the ITU Research Ethics Committee, 2014 - present. Reviewer for various programs, conferences, journals. Grants, Honors, and Project Funding as P.I. Meltzer student grant, University of Bergen, 1990: Nok 10 000. NFR (Norwegian Research Council) student Fellowship, 1990: Nok 60 000. NFR doctoral reseach fellowship, 1993-96. Dept. of Education, CALLMOO/Lingo, 1997-2000: NOK 4 million. NFR (SKIKT) “Humaniora og de digitale mediene”, 1998-2002: NOK 1,1 million. EU/IST: mGain- Mobile Entertainment, 2002-2004: 67 000 Euro. Ubisoft: Emotions in multiplayer games: 2005: 8000 Euro. The Gyldendal Lecture of Excellence, SDU, Odense, October 2008: DKK 10.000. NOP-HS: Game Studies journal: 2011: 8000 Euro. NOP-HS: Game Studies journal: 2012-14: 237 000 NOK. van Rooij, A., Ferguson, C., Nielsen, R. K. L., Aarseth, E. J., Poulsen, A., Kardefelt-Winther, D., Bean, A., Colder Carras, M., Przybylski, A., Shi, J., Brus, A., Fiskaali, A., Karlsen, F., Lieberoth, A., Markey, P. & Prax, P., 12 Mar 2018, In : Journal of Behavioral Addictions. 7, 1, p. 1-9 9 p.
Aarseth, E. J. & Blom, J., 22 Aug 2017. Aarseth, E., Bean, A., Nielsen, R. K. L., Boon, H., Carras, M., Coulson, M., Das, D., Deleuze, J., Dunkels, E., Edman, J., Ferguson, C., Haagsma, M., Bergmark, K., Hussain, Z., Jansz, J., Kardefelt-Winther, D., Kutner, L., Markey, P., Prause, N., Przybylski, A., Quandt, T., Schimmenti, A., Starcevic, V., Stutman, G., van Looy, J. & van Rooij, A., 29 Dec 2016, In : Journal of Behavioral Addictions. Aarseth, E. J. & Calleja, G., 2015, Proceedings of the 10th International Conference on the Foundations of Digital Games (FDG 2015). Society for the Advancement of the Science of Digital Games, 8 p.
Nielsen, R. K., Karlsen, F., Goggin, J. & Aarseth, E., 6 Aug 2014. 3 p.
Nielsen, R. K., Aarseth, E. & Poulsen, A., 7 Apr 2014, Proceedings of the 9th International Conference on the Foundations of Digital Games: FDG 2014 Proceedings. 3 p.
Aarseth, E. J., 2014, The Routledge Companion to Video Game Studies. J. P. Wolf, M. & Perron, B. (eds.). New York, NY: Routledge, p. 185-189 5 p.
Aarseth, E. J., 2014, The Routledge Companion to Video Game Studies. J. P. Wolf, M. & Perron, B. (eds.). New York, NY: Routledge, p. 484-492 8 p.
Aarseth, E., 2013, Greek and Roman Games in the Computer Age. Selliaas Thorsen, T. (ed.). Trondheim: TAPIR Akademisk Forlag, p. 11-23 13 p. (Trondheim Studies in Greek and Latin; No. 1). Backe, H-J. & Aarseth, E., 2013, In : Proceedings of DiGRA 2013. 7, 16 p., 405. Aarseth, E., 2012, In : Foundations of Digital Games Conference Proceedings. p. 129-133 5 p.
Aarseth, E., 2011, DIGAREC Keynote-Lectures 2009/10. Günzel, S., Liebe, M. & Mersch, D. (eds.). Potsdam: Universität Potsdam, Vol. 6. p. 50-68 18 p. (DIGAREC Series). Game Addiction Triangulated: Media Panic or Health Problem – Who Can Tell? Nielsen, R. K. L. & Aarseth, E., 2011. Flaaten, Ø., Torp, S. & Aarseth, E., 29 Oct 2010, In : Tidsskrift for Ungdomsforskning. 10, 2, p. 57-78 22 p.
Aarseth, E. & Fuchs, M., 2010, Das Spiel und seine Grenzen: Passagen des Spiels II. Fuchs, M. & Strouhal, E. (eds.). Wien New York: Springer, p. 95-100 6 p.
Aarseth, E., 2010, FILE Sao Paulo 2010. Barreto, R. & Perissinoto, P. (eds.). 2010 ed. Sao Paulo: FILE, p. 9-15 6 p.
Aarseth, E., 2010, FILE Sao Paulo 2010. Barreto, R. & Perissinoto, P. (eds.). 2010 ed. Sao Paulo: FILE, p. 170-177 8 p.
Aarseth, E., 2009, Narratívák 7.: Elbeszélés, Játék és Szimuláció A Digitális Médiában. Fenyvesi, K. & Kiss, M. (eds.). Pécs: Kiarat Kiado, p. 159-174 15 p.
Aarseth, E., 2008, Digital Culture, Play, and Identity: A World of Warcraft Reader. MIT Press, p. 111-122 12 p.
Enevold, J. & Aarseth, E., 2008. Enevold, J., Hagström, C. & Aarseth, E., 2008. Aarseth, E. J., 2007, Datorspelandets dynamik: Lekar och roller i en digital kultur. Linderoth, J. (ed.). Lund, Sweden: Studentlitteratur, p. 209-229 20 p.
Aarseth, E., 2007, In : Artnodes: E-Journal on Art, Science and Technology. 7, p. 1-11 11 p.
Aarseth, E. J., 2007, The Novel: Volume 2: Forms and Themes. Moretti, F. (ed.). Princeton, NJ: Princeton University Press, Vol. 2. p. 839-870 31 p.
Aarseth, E. J., 2006, Critical Cyberculture Studies . Silver, D. & Massanari, A. (eds.). New York, NY: New York University Press, p. 37-46 9 p.
Aarseth, E. J., 2006, Teoría del hipertexto : La literatura en la era electrónica. Vilariño Picos, M. T. & Abuín González, A. (eds.). Madrid, Spain: Arco Libros, p. 93-119 26 p.
Stories vs. Games: Is There Hope for the Interactive Narrative? Aarseth, E. J., 2006, Clash of Realities: Computerspiele und Soziale Wirklichkeit. Kaminski, W. & Lorber, M. (eds.). München: Kopaed, p. 17-23 6 p.
Aarseth, E. J., 2005, Entertainment Computing - ICEC 2005. Kishino, F., Kitamura, Y., Kato, H. & Nagata, N. (eds.). Springer, p. 496-506 11 p. (Lecture Notes in Computer Science, Vol. 3711). Aarseth, E. J., Mar 2004, First Person: New Media as Story, Performance, and Game. Wardrip-Fruin, N. & Harrigan, P. (eds.). Cambridge, MA: MIT Press, p. 45-55 11 p.
Aarseth, E. J., 2004, Narrative across Media: The Languages of Storytelling. Ryan, M-L. (ed.). Lincoln, NE: University of Nebraska Press, p. 361-376 15 p. (Frontiers of Narrative). Aarseth, E. J., Smedstad, S. M. & Sunnanå, L., 2003, DiGRA '03 - Proceedings of the 2003 DiGRA International Conference: Level Up. Copier, M. & Raessens, J. (eds.). p. 48-53 6 p.
Smedstad, S. M., Sunnanå, L. & Aarseth, E. J., 2003, DiGRA '03 - Proceedings of the 2003 DiGRA International Conference: Level Up (Digital Edition). Copier, M. & Raessens, J. (eds. ).